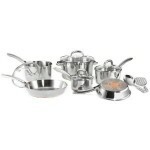 If you’ve come to this site to learn more about cookware and to read cookware reviews, you’ve come to the right place! Love to cook? Hate to cook? Either way, the truth is, most of us have to cook. If you’re a budding Julia Child, you’re probably going to want the latest and greatest when it comes to your kitchen gadgets. If you cringe at the dreaded question, “What’s for dinner?”, chances are you don’t care all that much about aluminum vs stainless steel vs copper and which cooks the best. You just want pans that do what they’re supposed to do – cook food. Regardless of which camp you find yourself, there’s a perfect set for you. There are a lot of features available today, and I try to show you the very best features in every review I write, so that it will be a little easier for you to compare and contrast sets. My cookware set reviews are broken down into several different sections, to help you understand what the strengths and weaknesses are for each particular set. I talk about features, what other consumers think about the set, and the most important positive and negative aspects of each cookware collection. 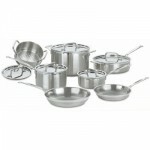 There are so many choices available in cookware today, it can be confusing and overwhelming to try to make a decision. What works best for you is going to depend on your level of cooking skill, your every day needs and , of course, your budget. Here are some tips to help you find the perfect cookware just for you. The first thing to do is to think about how much money you’re willing to spend on your cookware pieces. As the saying goes, “You get what you pay for.” Higher quality cookware is going to cost more; however, there are decent pots and pans available for nearly any budget. Another thing to consider is whether you really need to go all out and purchase a full cookware set, or if you might be better off buying a piece at a time. 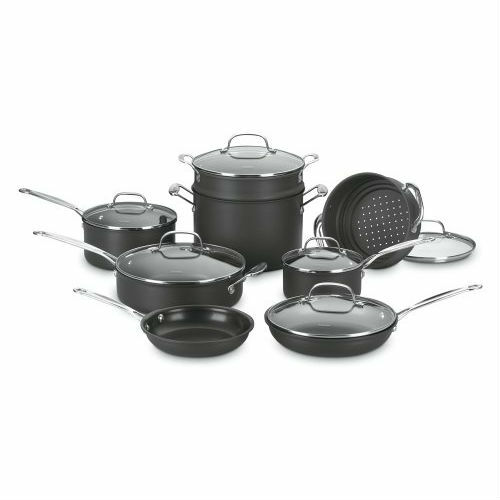 Purchasing one pot or pan at a time is more expensive than buying a full set. The advantage to buying one at a time, however, is that you can pick exactly the pieces you want. You won’t get stuck with cookware that isn’t useful to you. You may also be able to afford higher quality pieces if you just purchase one or two things as you’re able to afford it. What Type of Cookware Is Best for You? 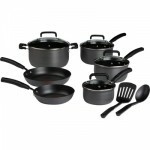 There are a seemingly unending amount of choices when it comes to purchasing cookware. 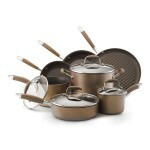 Nonstick, anodized, copper core, stainless steel, cast iron… and on and on. How do you know which is best? Part of this will come down to personal preference. Here is a rundown of some of the more popular types of cookware, and what you can expect from each. 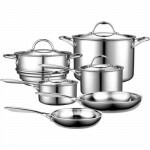 Stainless steel cookware is extremely popular, and sets come in a variety of price ranges. Stainless steel is easy to clean and very durable. If considering stainless steel keep in mind that, on its own, stainless steel is a poor conductor of heat. Quick and even heat distribution depends on having a good heat conductor. Therefore, look for stainless steel cookware that is either encapsulated in copper or aluminum, which are both good conductors of heat. 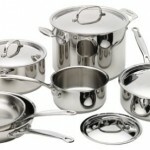 Aluminum cookware, particularly hard anodized aluminum, is a popular choice among home chefs. Aluminum is a great conductor of heat and will heat up quickly and evenly, reducing the chance of hot spots that may burn your food. 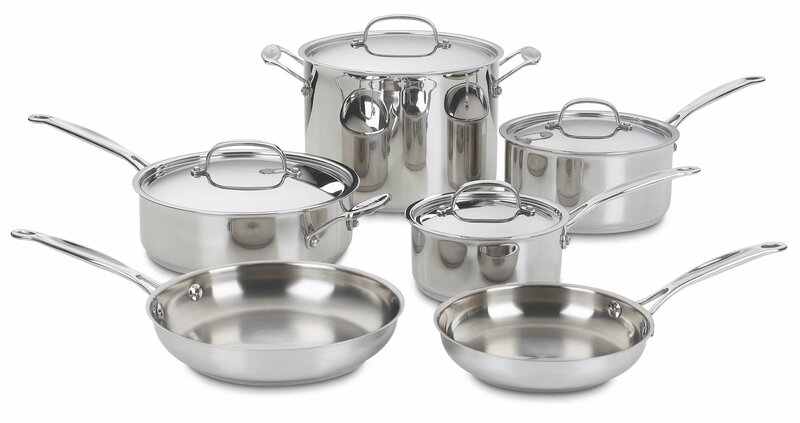 While aluminum pots and pans are considered to be dishwasher safe, it’s best to hand wash this cookware since dishwashers can cause the pieces to discolor over time. 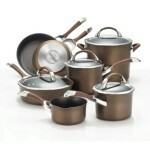 Copper cookware is, perhaps, one of the best types of cooking pans available. Copper is a fantastic conductor of heat. These pans will heat up quickly and distribute the heat evenly. There is less chance of hot spots developing when cooking and thus, less chance of burning food or uneven cooking. It’s important to be aware that, unlike stainless steel, copper can react with some foods and change color and taste. If this is bothersome to you, look for copper cookware lined with either aluminum or stainless steel – this will help to eliminate the metal’s reaction to food. Nonstick cookware is prevalent in stores these days, and for good reason. Even those who love to cook every day generally hate the clean up! 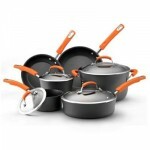 Nonstick coating on cookware helps to keep food from burning and sticking to the pots and pans. Typically, nonstick cookware can be cleaned up easily by just rinsing it off and washing with mild soap and water. There are some concerns that nonstick coatings may not be good for our health. 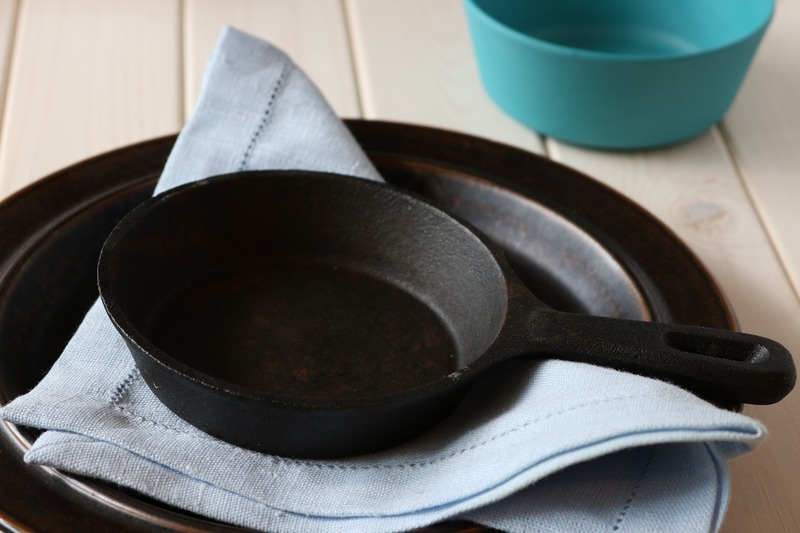 As nonstick pans age, the coating may begin to peel and flake off into the food prepared in them. The best way to avoid this is to always handwash your nonstick cookware. It will extend the life of the cookware and keep the nonstick coating in place longer. When the coating does begin to peel, it’s time to replace your pot or pan. 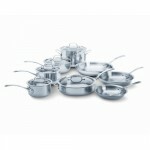 Budget and type are just two of the things you’ll need to consider when shopping for a new cookware set. Also, keep in the mind the amount of space you have for storage and the amount of time you spend cooking – will the set be used daily or only a couple of times a week? Once you’ve answered these questions, you can begin to easily narrow down your choices to the cookware sets that will work best for your individual situation.